Can you get sued for wishing a celebrity well? It might seem innocuous, but using an ad to congratulate an athlete or another big name can earn brands their very own personal thank-you—a subpoena. Last month, a jury decided that Safeway—the parent company of now-defunct supermarket chain Dominick's—must pay $8.9 million to Jordan after using the basketball star's name in an ad placed in Sports Illustrated. It's not the first time a celebrity has sued a company that used his or her name in an ad. Vanna White once sued Samsung for featuring a letter-turning game-show robot wearing a blond wig. Bette Midler sued Ford over a vocal sound-alike. Tom Waits sued Frito-Lay. More recently, Kim Kardashian sued Old Navy. Even Cliff and Norm from Cheers have sued Cheers bars over robots made in their likeness. Although the Safeway suit isn't entirely novel, legal experts say it's a reminder that offering congrats isn't entirely innocuous—if you're selling a product in the process. 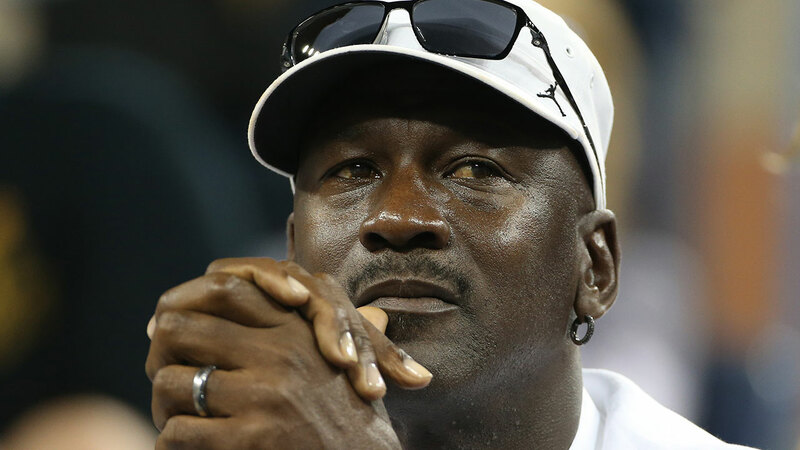 "It's one thing to say 'Hey, congratulations, Michael Jordan,'" said Frank Caprio, a patent and trade law attorney at Bradley Arant Boult Cummings. "I don't know if I would be subject to any sort of liability. But if I said ,'Congratulations, Michael Jordan. I'm a big fan. Come buy a car at my dealership,' then you're getting into trouble." Legal risks aside, congratulating an athlete or another star might not even be worth it, said Michael Dunn, CEO of brand consultancy Prophet. He said it can lead to a slippery slope if an attempt doesn't feel authentic or relevant. "I think a lot of brands shy away from it because of all of the risks that are manifesting themselves in this case," Dunn said. "And I also don't think it's a very proven way to invest your money and time." Dunn said if the celebrity isn't already a part of a brand's storytelling, an agency should ask: What is the reason for supporting them now? "They look more like an opportunistic brand trying to take advantage of someone else's success where they have no role in it," he said. "They shouldn't have been a part of the conversation, and when it feels like that to consumers, it turns people off." Jordan's case revolved around the grocery chain's violation of the Illinois Right of Publicity Act, which outlines an individual's right to control and choose how his or her identity is used for commercial purposes. Ben Mulcahy, a partner in the entertainment, technology and advertising practice group at Sheppard, Mullin, Richter & Hampton LLP, said most states have their own version of the statute or have common law that covers similar territory. Mulcahy said right of publicity law is expanding as media channels expand. So, how can brands hop on the celebrity celebratory bandwagon without getting a multimillion-dollar bill in the mail? The safest thing, of course, is to stay off the court. "The line is that it's incredibly risky under any scenario to use the name, voice or likeness of another person without authorization if the use is in a commercial context," he said. "So, any context that is reasonably likely to be characterized as commercial speech under the First Amendment is going to lay the foundation for a right of publicity claim." Mulcahy said the Jordan dispute was bifurcated by two issues. The first: whether it was commercial or noncommercial use under the First Amendment's protection of free speech. The second: establishing liability because of the commercial use of someone's name, voice or likeness. Caprio said using another person's name or image is like using another company's trademark. "Let's say it was Tom Brady and there was some product that had to do something with inflation or deflation and you wanted to conjure up the image of Tom Brady inflating or deflating tires," he said. "I think you're inclined to really get hammered for that."